Does anyone offer or know of someone who can provide a familiarization flight in a Grob 109? 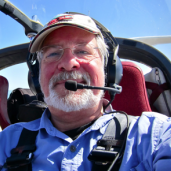 We have a Grob 109B and our flight instructor has plenty of time in gliders, single engine aircraft, and already has his motor glider endorsement but he has no time in a Grob 109. Our insurance carrier requires that he have at least an hour for familiarization. Any help is appreciated as we need to get him qualified hopefully in the next few weeks so that he can transition us over the winter/spring. We live in the Midwest but can will travel to wherever this can be done. Go to Community > Members > Filters > scroll down to CFI's, and click on the individual names. It will show you their personal ride, i.e. Grob, Ximango, etc. I do... philphil_99yahoo.com We can use mone or yours.